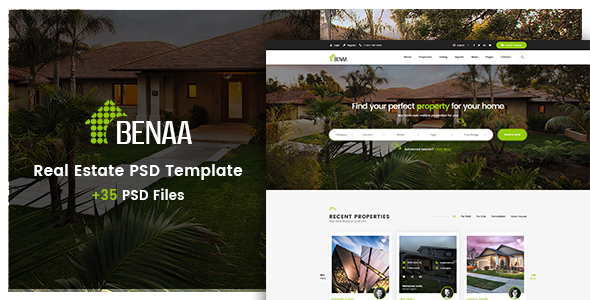 Benaa is a large Real Estates business psd theme created especially for Real Estate Business. It is very easy to use. We analyzed many of real estate companies websites before planning of real estate business features to ensure we covered all elements and functions. You can use this psd design for use other variant business.